After My Treatment Is Complete Do I Get a Settlement? So you’ve been injured at work. You’ve got your weekly benefits agreed upon. So what’s next? Is that all the money you’ll receive? Or do you get a settlement? The good news is YES! You do get a settlement. There are all sorts of expenses to consider after you’ve been hurt at work. For instance you might need to search for a new line of employment. In that case you might need to be compensated for vocational training and time missed from work while searching for a new job. It’s also possible that you might need additional medical treatment in the future as a result of your injury. You would need compensation for these future medical expenses. When you file for workers’ compensation, you are given a rating, and you are entitled to the value of that rating. However, just because you receive the same rating as someone else doesn’t mean that you’re going to receive the same settlement that they did. Every case is evaluated independently because the circumstances of your injury are specific to your case. Settlements will range based on the value of your claim. There are many factors that will be taken into consideration when deciding your settlement such as how you were injured, how severe your injury is, and the amount of work you’ve had to miss. 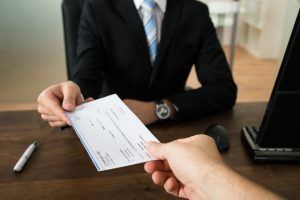 One of the advantages to working with an attorney is that we can explain the value of your claim and what you should receive as a reasonable settlement. Don’t let the insurance company sell you short. Contact one of our experienced attorneys for a free consultation. You are entitled to a settlement from the insurance company. With over $275m in awards and settlements, Oxner + Permar has the experience to fight for you and ensure that your rights are being protected.